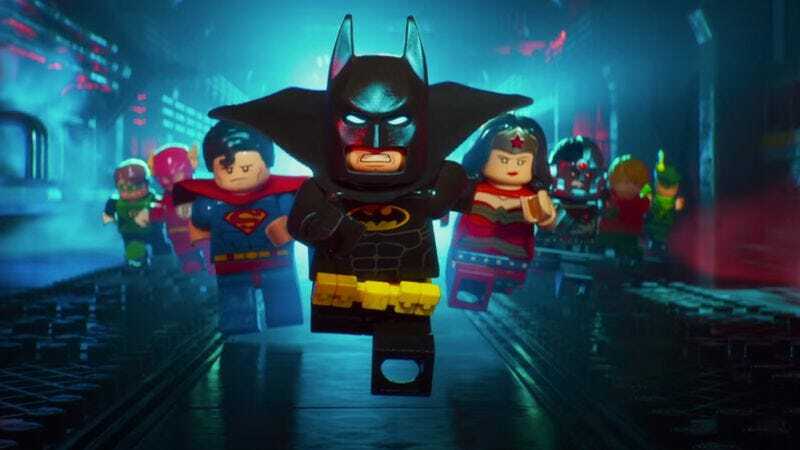 Will Arnett’s growly portrayal of Batman was a highlight of 2014’s The Lego Movie, one in a long line of Phil Lord and Christopher Miller projects that ended up being a lot better than they sounded on paper. Lord and Miller have given the reins to Moral Orel and Robot Chicken director Chris McKay for the Dark Knight-centric sequel, The Lego Batman Movie, a marriage of comedic sensibilities that should produce another clever respite from the sometimes brain-numbing preciousness of family-friendly entertainment. You can find out for yourself when The Lego Batman Movie hits theaters on February 10, 2017, and The A.V. Club is giving Chicago residents a chance to find out even earlier than that. We’re giving away passes to an advance screening of the film on February 4—that’s this coming Saturday—at 11:00 a.m. at the Showplace ICON theater (1011 S Delano Ct), and to register for one of those passes, all you have to do is enter your information here. Remember: Advance screenings are often intentionally overbooked, so be sure to arrive early if you want to secure a seat.